Aluminum rack on wheels. Only one left. Great for a bakery. 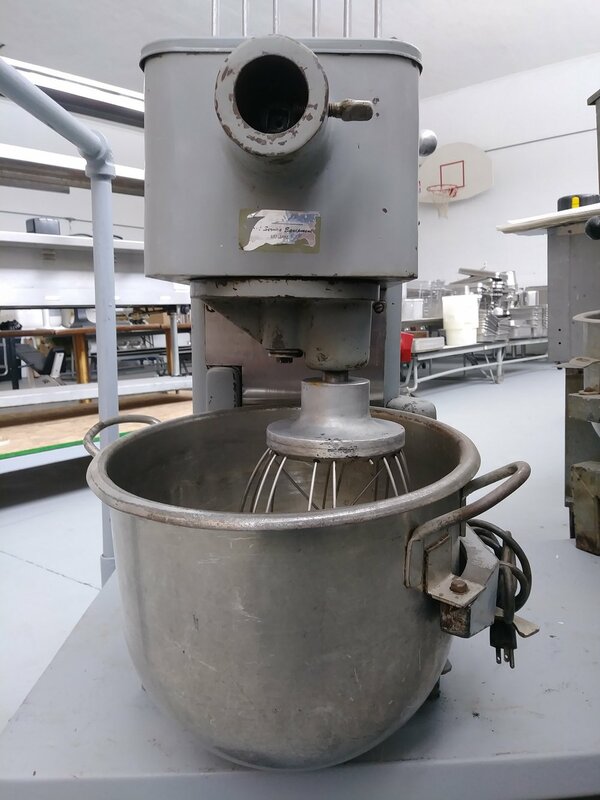 Older but reliable 20 qt mixer. Add this nice piece to your bakery. Seriously strong running motor and smooth running machine. These are reliable and nearly bulletproof. Extremely heavy. A touch of paint and it will be as good as new. Parts and additional attachments are readily available online. Additional Mixers Available.